It’s the new peanut butter and jelly. Start telling people that and let’s see if it catches on. So, after pinning all of the above pictures, I was trying to decide which one of them to recreate for my post today. And then I ran across this next little gem, and I knew I had my winner. Because leopard and green is good. But leopard and green WITH STRIPES? All day long and twice on Sunday. I took the above graphic (from polyvore HERE) and added some arrows and labels just for fun. And then I made it my own. The leopard adds that extra somethin’ somethin’ that kicks the outfit up a knotch. Or seven. All of the accessories really make this outfit pop, don’t ya think? These pics make me happy! The pointy toe leopard flats are FLAT OUT SASSY. In this picture I traded out my pointy toe leopard flats for my Sam Edelman leopard flats from last year. Mine are square toe and no longer available, but the rounded toe are available HERE. The Sam Edelman’s are known for their comfort. I FEEL LIKE THIS LOOK IS SO ME! 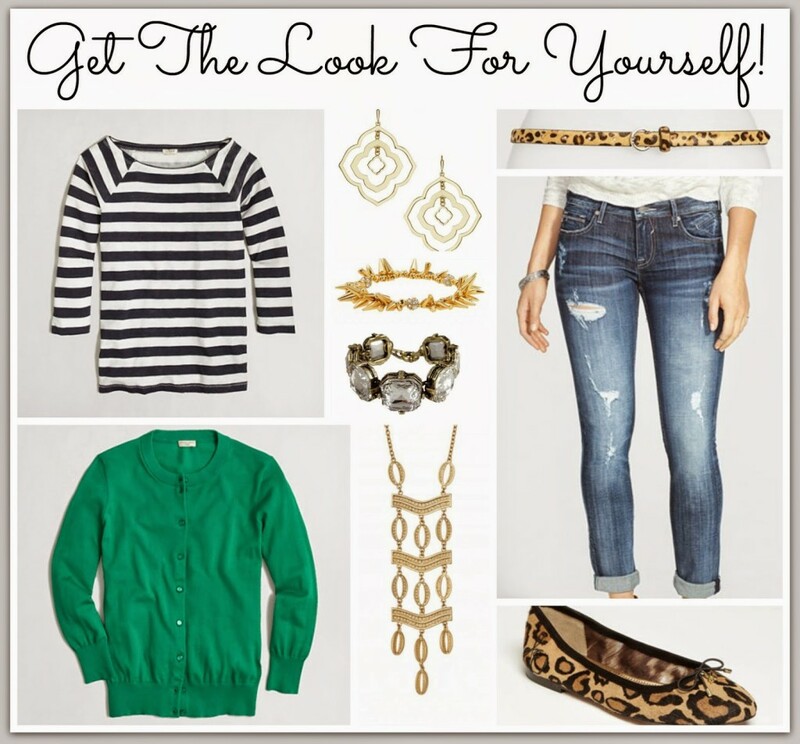 And I love that it’s made up of just a lot of great basics that can be used in lots of other outfits! you’re in luck, because I found current like items! 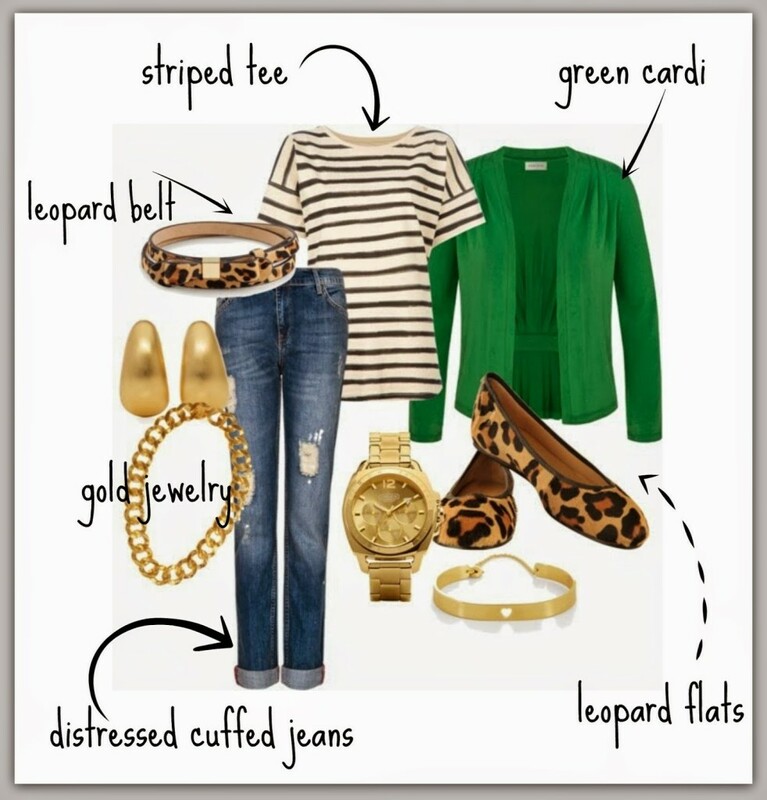 The above outfit recreation showed you how the leopard took a basic outfit and made it CRAZY cute! Do you need some leopard in your life? I’ve got some options that will help you sass it up! I adore every single item in the below collage. And I need you to lean in and listen closely to me now girls. 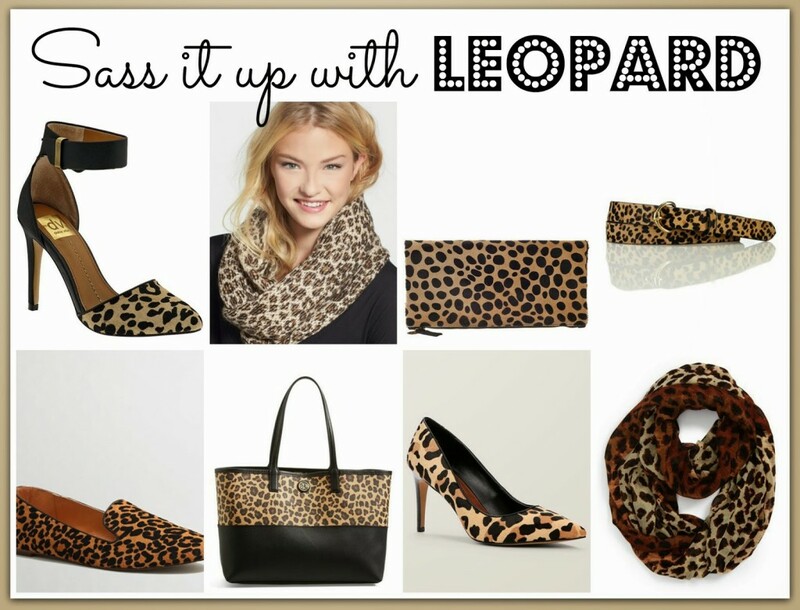 If you don’t have at least 2 leopard pieces in your closet (for reference, I have 5: a scarf, a belt, a clutch, pointy toe flats, and square toe flats) you should think about adding something today! 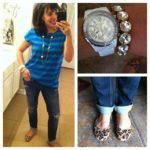 I know it’s scary at first (I had heart palpitations when I bought my first pair of leopard flats), but I promise you that you will wear your leopard items ALL THE TIME. 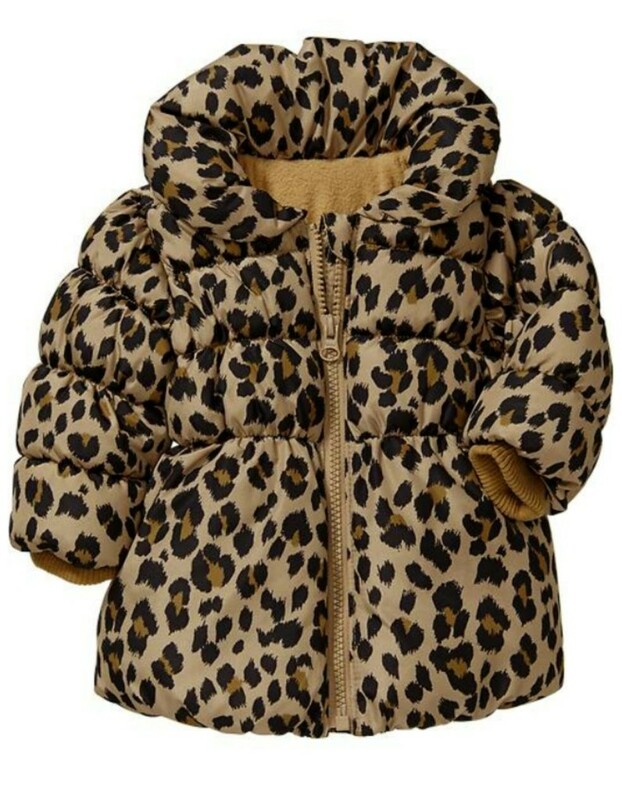 Your leopard pieces will become a GO TO for you for sure. And I know that many of you added THIS jacket to your closet this week. It is lightweight and not bulky at all. 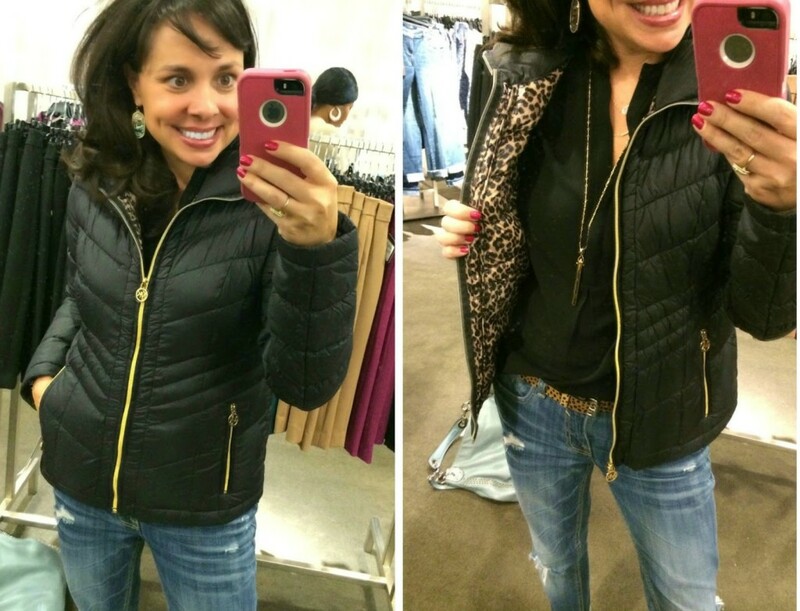 This jacket would be soooo easy to throw on with jeans, with work-out gear, whatever! AND LOOK AT THE LINING. HELLO! Instructions online say you can just wash it at home on cold and just tumble dry on low. SCORE. For size reference, I was wearing a small. This is a great jacket. A REALLY great jacket. And at a fantastic price point for what it is! If you don’t love the black (for the record, your cray) it also comes in navy and a deep purple! Sooooo compact and light weight. Perfect for traveling. Wear it on the plane or throw it in your suitcase. I’m telling you, this is a good jacket. And you know I seriously recommend leopard flats for your closet. I would mandate it if I could. I have tried these on, and they are super comfortable! The pointy toe is so chic, and they are a great price point! Reviews are mixed on these, so make sure you read them! This particular sling back sold out, but you can find a similar option HERE. So, “b” is the pair I have. When I blogged about these flats for the first time back in February, there were 47 5 Star Reviews! Now there are 201 5 STAR REVIEWS. Whoah. That’s a lot of people that love and adore these shoes. One of my first comments this morning was from a teacher who endorses these shoes! I have the Sam Edelman flats. I too had heart palpitations at the price. size up for me too! Love, love, love these babies! color…………..please try them you’ll be very happy you did. They are a little pricey, but if you read the reviews, people say that they are totally worth it, and I would have to agree. worth out of them by wearing my cheap Target ones (that were super cute but have since fallen apart) CONSTANTLY. and that is worth a little bit of extra cash! please leave your thoughts about them in the comments! Click HERE for the shoe and to read other FANTASTIC reviews. In my opinion, leopard flats are a WARDROBE NECESSITY. You seriously won’t believe how they will jazz up just about any outfit. So, that’s it for today girls. BUY A PAIR OF LEOPARD FLATS. And a belt. And a scarf. I trust you’ll have this ordered for Griffin in the next 45 seconds. Click HERE for my Anthropologie post from Monday! Maybe there were some items you wanted to order but just couldn’t handle the shipping! Remember I highlighted this tunic that I bought on Monday (even though it was on backorder)?!? 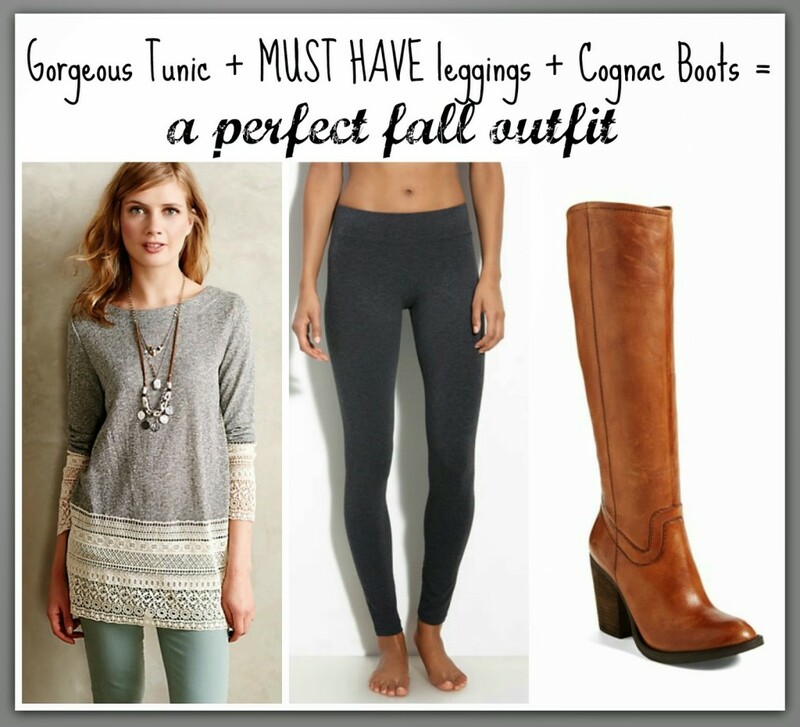 WANT A TOTALLY EASY BUT PERFECT FALL OUTFIT? I mean, really. How cute would we be wearing this outfit! I also loved THIS split neck popover and THIS ombre popover. I actually loved everything in the post. Seriously, click HERE for a refresher. 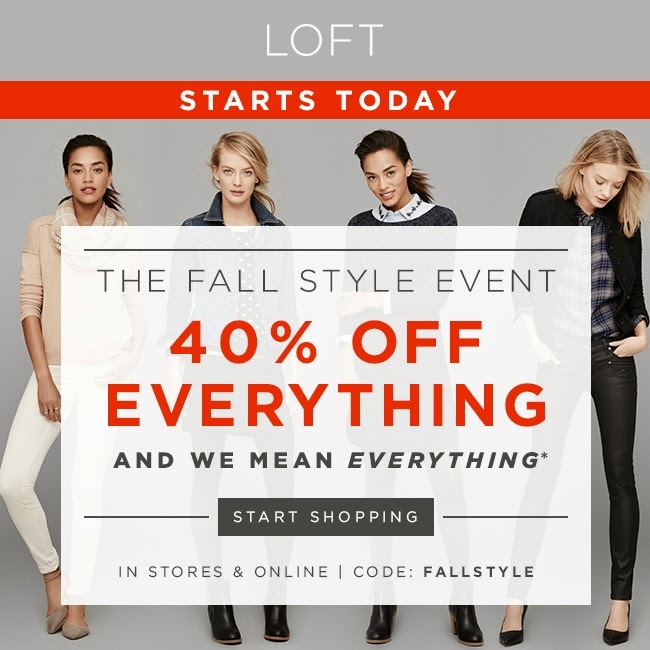 I also got an e-mail from LOFT! If there are things you’ve been wanting from LOFT, now is the time! Not only is EVERYTHING 40% OFF, but you could TWO $25 savings cards for every $50 you spend. So they are basically paying you to shop. First and foremost I recommend THESE. They make me look tall and skinny. 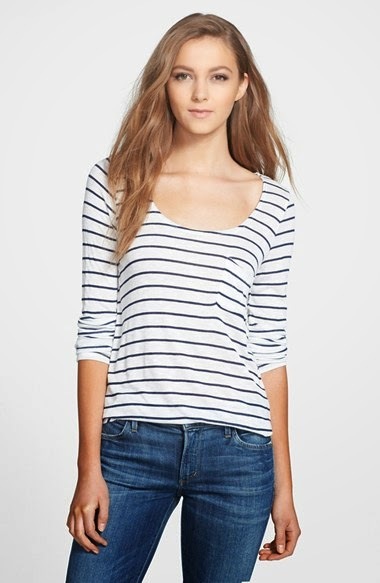 And why don’t you pair the above jeans with THIS top (or the cream colored one!). This is a lot of Friday goodness girls!!! 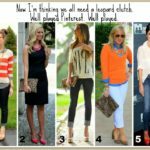 Several weeks ago I received an e-mail from another blogger telling me she had written a post highlighting several different ways that she and one of her best friends had styled their MUST HAVE blardigans. Click HERE for the blog post to see what these girls have to say! (Jill’s friend Lauren has the ombre like me, and Jill has the marine/pewter). You know I love my ombre. But I had no idea that I needed the marine/pewter one until now. LOOK HOW GREAT IT LOOKS WITH JEANS! Click HERE for the marine/pewter. 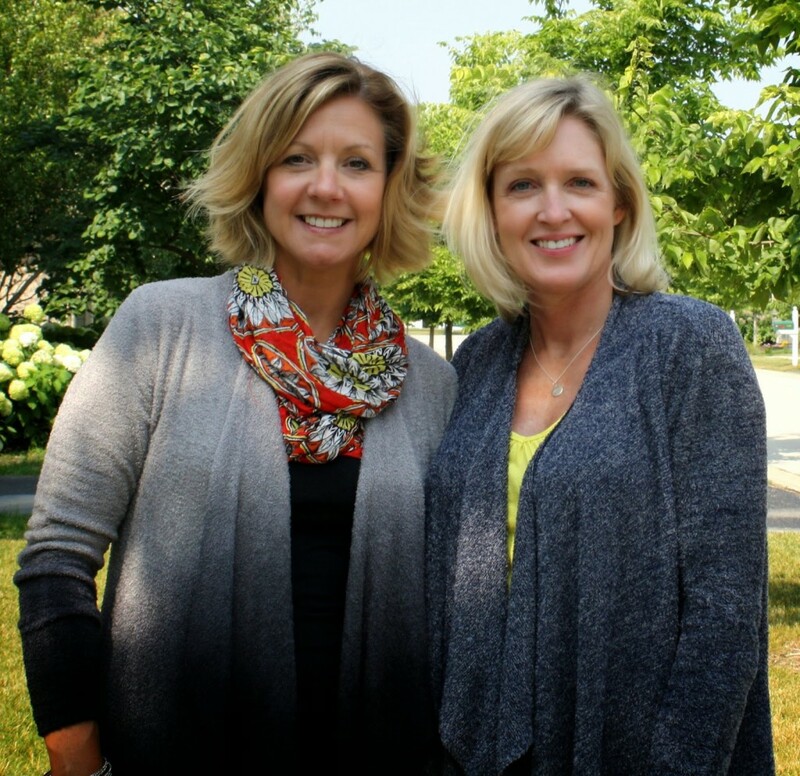 Here are Jill and Lauren! So cute! 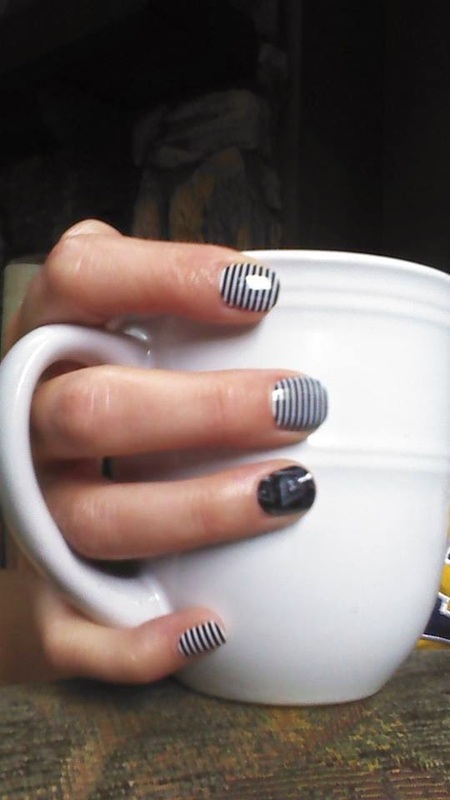 My cousin’s wife Saralynn just started an adventure with Jamberry Nails. You can find her site HERE. Never heard of Jamberry Nails? Well click HERE to find all of the publications Jamberry has been featured in (including In Style and People Style Watch)! She sent me a fun polka-dot set to try, but I haven’t had a chance to try them yet since I’m up to my neck in packing up the house for our move next week! Ahhh! Jamicures will look great for up to two weeks on your hands and six weeks on your toes. All it takes to put on your Jams is a hair dryer and a nail file. And there is NO dry time! Unlike polish, they are non-toxic and safe for kids and pregnant ladies. We have over 300 designs to choose from, a style for every style. They are super affordable. 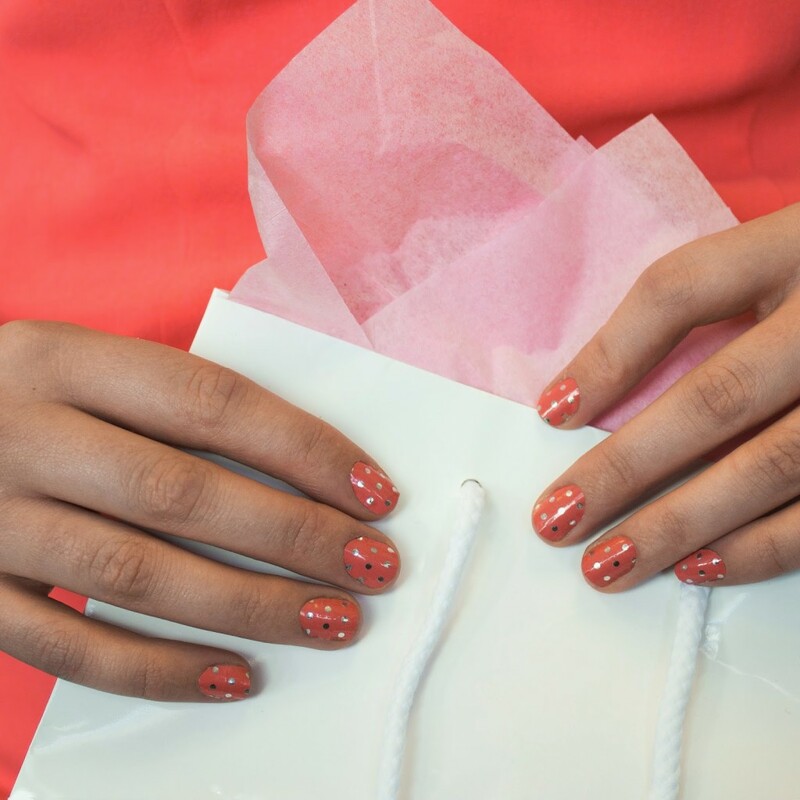 One sheet does 3 to 5 manicures and costs $15. And we have a great special–buy 3 get 1 free! If anyone has questions, is interested in becoming a consultant, or is in Central Michigan and wants to have a party….. Listen to me, this post is my love language. Who needs sappy poetry? I just need someone to read this post to me. I loved every single bit of it. Loved. It. I have the Sam Edelman flats. I too had heart palpitations at the price. But as a teacher who is on my feet all day…these are totally worth it! They are a flat with support and com-fort-a-ble!!! And yes, 1/2 size up for me too! Love, love, love these babies! Thanks for featuring my Blardigan post! Mine does not have the contrasting band on it either. Loving the green and leopard together! Such a great combo! I think I need more green in my closet! I woke up with no intention at all to shop today. And yet I'm about to buy a pair of leopard flats (my first) and the blue blardigan. I just bought the blue one too! After a year of wearing my ombre one all the time, I'm not even batting an eye. My hubby will even be excited (as will my 3 year that wraps up in it all the time)! Yay! OHMYGOSH. That combo. That combo. WOW. Leopard and greeeen! Love the green with the leopard. I think you just resurrected an old green sweater that was on it's way out! Ok so we must be like long lost sisters from another mother or SOMETHING. Because GREEN and STRIPES are like staples in my LIFE (as apposed to just my wardrobe) and add leopard. OMG. Love this combo!! 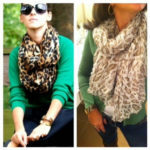 Love the green with the leopard! I think you just resurrected an old green sweater in the back of my closet! Great post. I have everything in my closet to pull the looks together. I never would have thought of wearing green and leopard. Now I have a fresh idea for my new emerald green cardigan. Thanks. 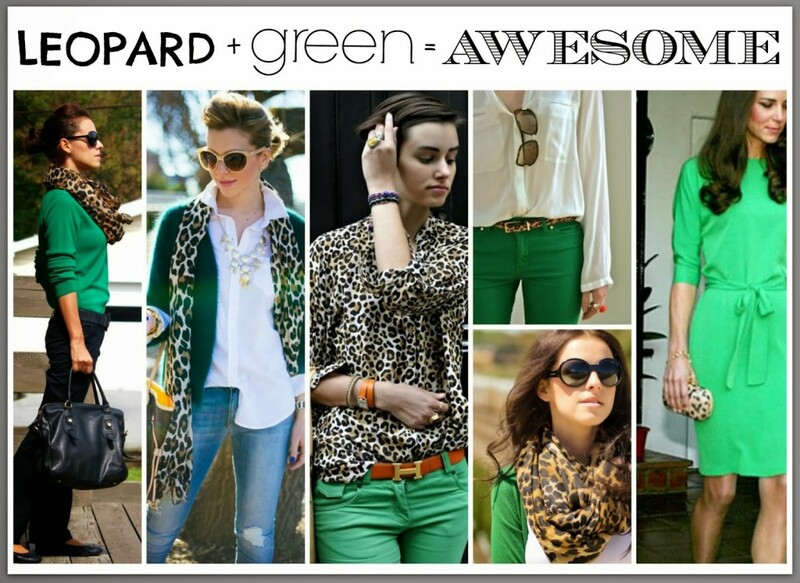 I never knew how much green and leopard belonged together!!! Until now!! Thank you for the great post! I have read your entire blog and I love it when you go back to an outfit recreation and show us how to use things in our closet. I love the shopping posts too, but I can't always buy new things, sometimes I have to wear the things I have! 🙂 I have a lot of green and stripes and leopard, so this is right up my alley. LOVE these type of posts! Super cute outfit! I love this! I'm totally wearing this today! You look super pulled together….as always. What I'm striving to do lol.. 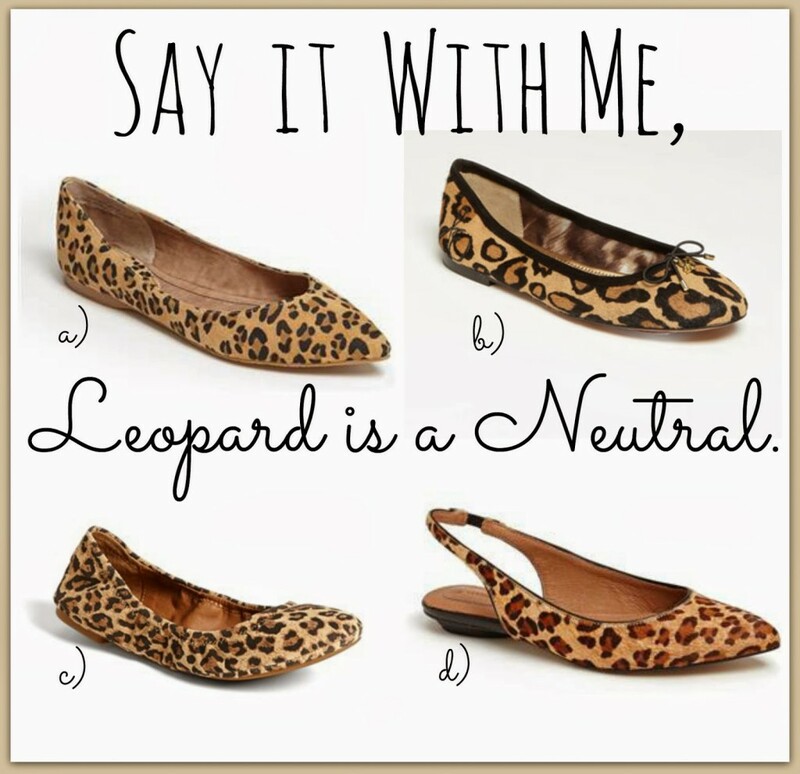 I have 5 leopard pieces in my closet and my favorite one is the Sam Edelman flats! I have worn them 3 days this week. So comfy! I bought mine 1/2 size up from my normal size. Can I just say, this is my favorite type of post that you do. I love it! I couldn't tell your shirt was blue until the pics outside, I thought it was black/white stripes at first! I have leopard flats from Loft last year & I've worn them so much I will definitely need a new pair soon, thinking of getting the Sam E's! Hi, I love your posts, But I have a "thing" I shop Nordstrom alot more now that you and Shay talk about it so much, I even got a CC because of you, and the sale…but when I click on something to look at it…it directs me to the web site, but the picture NEVER pops up….NEVER….I have to get out then go to Nordstrom.com myself and try and find it, which is a pain, does anyone else have this problem? Hi Melissa! I'm so sorry you are having trouble with the links! I haven't had anybody else say this, so I'll be interested to see if others comment on this?!? Is it just Nordstrom links you are having trouble with? Let me know Melissa! I have the Lucky Brand Emmie flats in leopard. I actually have the Emmie flats in black, blush, and grey snake skin. That's how much I love them! They are my go to shoe for work (I'm an SLP too). I size up half a size and they are perfect. They do take a few wears to work them in. They all have rubbed my heals at first but after they're worn in they are super comfy. I also easily have as many leopard pieces of you. It's my favorite neutral- scarf, flats, pumps, handbag, belt. I love it all. Great post! Hi!!! Thanks for answering….Yes ONLY Nordstrom, I just went to Shays Navy jacket, to see if it did it, and yes the same thing. the web site comes up great, the picture does not come up, and I clicked on the left side to see other views or the option for other colors..and nothing comes up. When you have other stores, like Target, I had no problems. Sorry…and thanks again!! I think this is right up there with one of my favorite outfits ever! Can you believe I don't have a great fitting black and white striped tee? They are either to short, or too wide of stripes, or the neckline is weird, and on and on! Sad because I have everything else to recreate this! 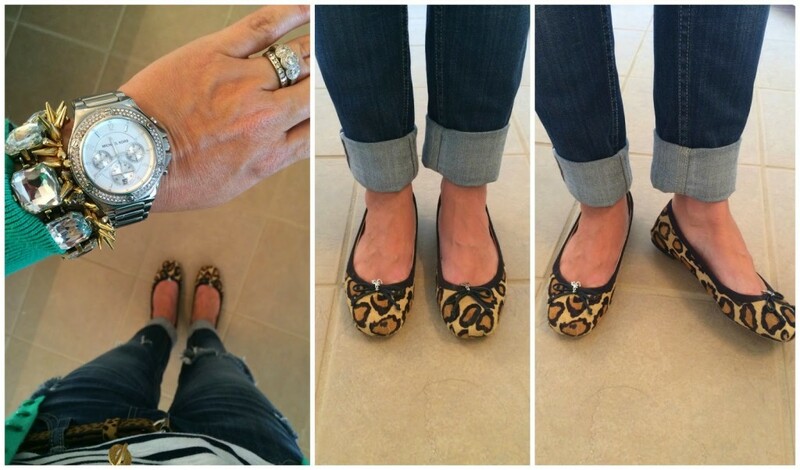 My Friday Favorites post is all about leopard and how to pair it with different styles! Loved reading your take on the pattern, and love love love it paired with green!! Your Steve Madden leopard flats, are they true to size? Love the pointy toe but sometimes it throws off the size. Love this post too! Thanks! Hi Alisha! They are true to size!!! 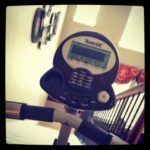 I absolutely love love LOVE your blog! It is my go-to for fashion advice when I'm in a pinch 🙂 2 things.. I was just in the Loft yesterday and found a super cute pair of jeans that fit like a glove and they were marked down to $9.88!! Do you belive it?! Also, I know how you're Nordstrom-crazy as well 😉 Does yours have a cafe inside? If so, you have to try their turkey and cranberry sandwhich! Hope it makes your blog soon 😉 Have a great weekend!! 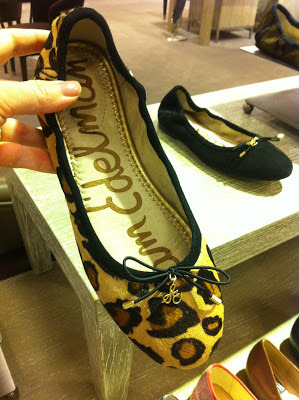 I'm curious about the Steve Madden leopard print pointy-toe flats. I'm stalking a pair online, but I need to know if they run true to size? Hi Francie! They do run true to size! 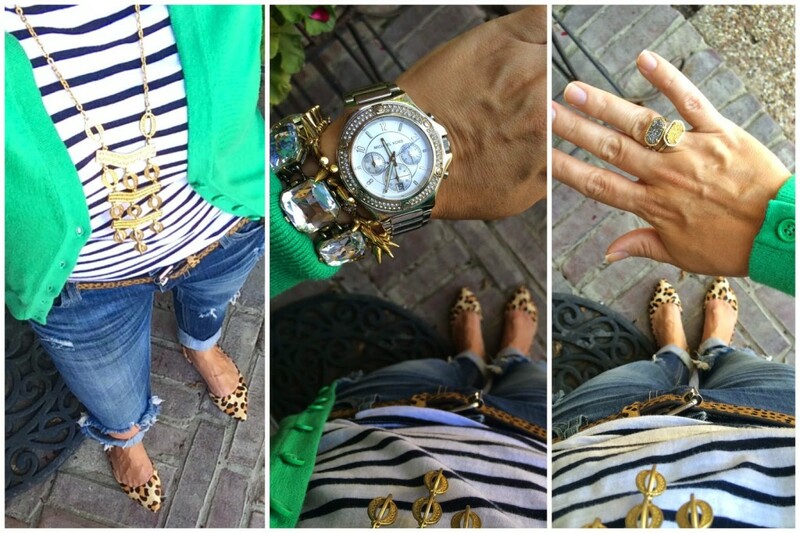 Green, leopard and stripes? On it. Thanks, Sheaffer! Love, love, loooove all the leopard. I have these flats – http://shop.nordstrom.com/s/steve-madden-elusion-leopard-print-calf-hair-half-dorsay-flat/3700146?origin=keywordsearch-personalizedsort&contextualcategoryid=2376184&fashionColor=&resultback=160&cm_sp=personalizedsort-_-searchresults-_-1_2_A – and they are totally my fav. What brand is the green cardigan you are wearing? You also have it in pink. I love the buttons on the cuff, and want them!!! They are from LOFT, but they are several years old! Sorry! 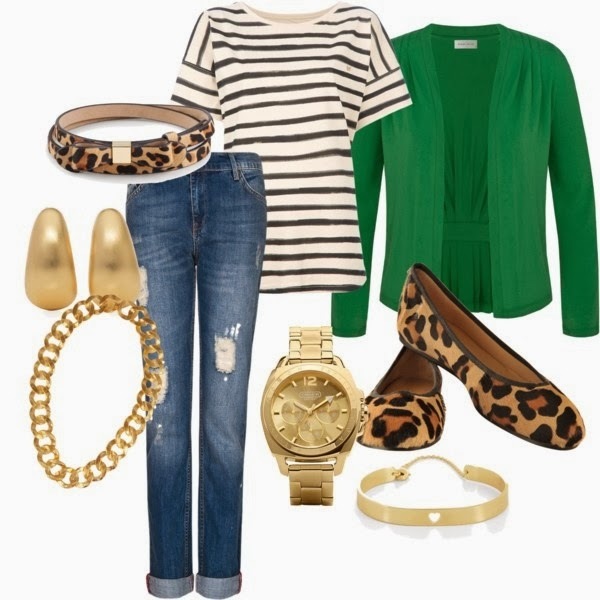 I ended up wearing my green skinny jeans, black top, and my leopard flats today! So glad I checked the blog before I got dressed! FABULOUS ! The green and leopard is so amazing together. Keep up the good work, you continue to inspire me. Happy Friday. Love the green and leopard together! 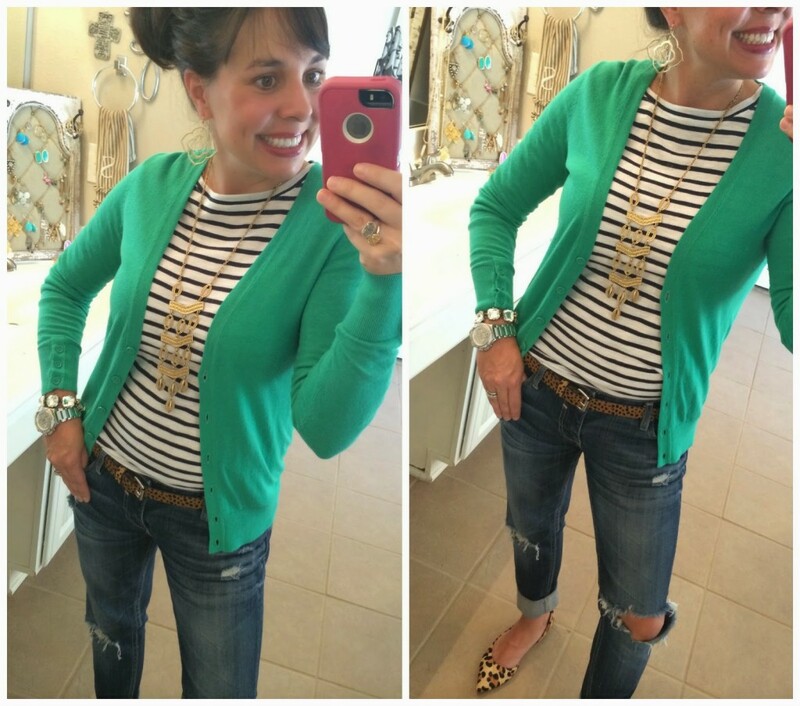 I must be channeling PTMT… On Wednesday I wore my JCP Kelly green ankle pants, the Mossimo version of the must have black shirt, leopard belt and my Stella & Dot gold rebel pendant necklace. 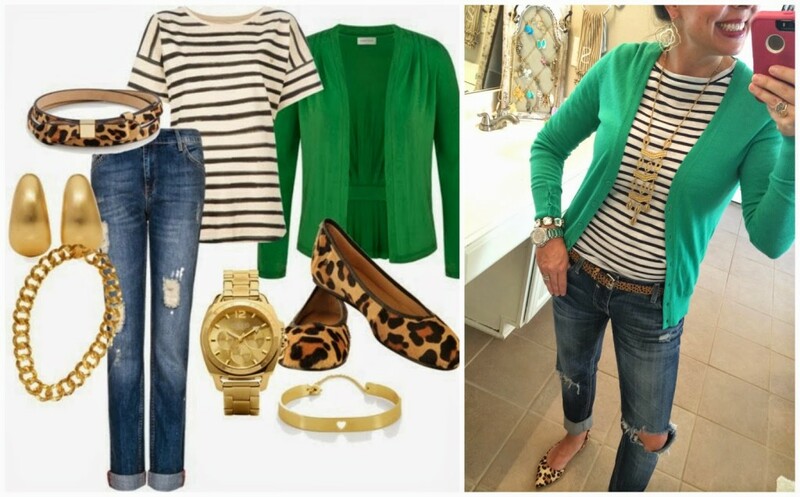 Green and Leopard… On Wednesday! Had I added stripes?! Lol! I love this combo! I have all of these pieces, too….so going to put this together next week! (I type this in my new must have shirt in pink….I am so hooked on your blog! I love everything you recommend!!!) going to check out those flats now, I also had the cheapy target ones…not so good! Yep, my story is the same as yours. I had a Target pair of leopard flats that I wore all.the.time until the sole started coming off. I invested in the Sam Edelman pair from Nordstrom last year during a big sale and they are so comfy! I knew it was worth it because of how much I had worn my Target pair! Geez, I might have found the only flaw with the blardigan, but it won't stop me from wearing it. I wore it to our morning soccer game on Saturday and sat in a friends camp chair. When I got up, the seat back was covered in super soft blardigan fur balls. The sweater even rubbed off some onto the black cloth seats of my car. Perhaps this is because I haven't washed it yet? In any case, definitely NOT a deal breaker because it is oh so cozy. Just an FYI that the Tieks flats (shown as option C in the graphic) are the BOMB DIGGITY. They are *ridiculously* expensive, but worth every damn penny. They have a sale in December every year (yes, just one sale a year – usually 20% off all their shoes) and I buy 1-2 pairs as a gift to myself. I wear them almost everyday. No breaking in needed & they really hold up. Just wanted to put it out there that there will be sticker shock, but they are definitely "MUST HAVE" worthy. I LOVE the Loft Leopard heels. I have been looking for a pair and those are just perfect for me. Thanks for posting! As soon as I saw this post I knew I had to try to recreate the green/leopard/stripes combo. Did so today and I'm totally loving it! I never would have put this together myself, so THANK YOU!